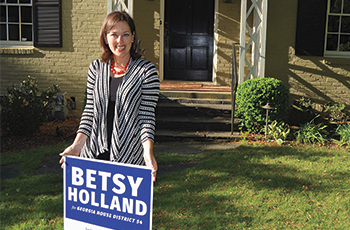 Alumnae candidates are answering the call to leadership by campaigning for offices up and down the ballot. Their issues may differ, but all say they are driven to strengthening their communities. 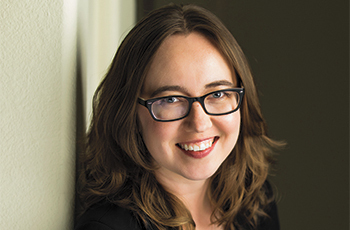 Alumnae candidates share their stories of campaigning. Madison needs to be the kind of place where everybody can thrive. It’s really about racial equity and our housing market. We’re a really great place for most people to live, but that prosperity hasn’t been shared with everyone. That’s a lot of what motivates me. At Smith I was able to see women in a wide range of leadership roles and was elected to leadership roles myself. That foundation of confidence was critical. It’s critical for women to run because representation matters. It’s critical not just for women to run, but also for people of color to run and for LGBTQ candidates to run. Our elected officials should be more representative of the population of the jurisdiction that’s electing them. When you have a more diverse group in leadership, you get better ideas and better outcomes. 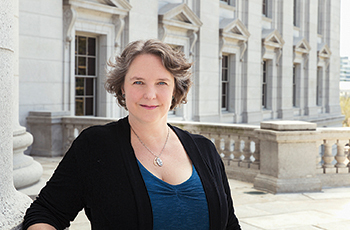 I’m running because I have worked my entire career dealing with issues of equal opportunity and access to education. After retiring in 2012, I established a high school mentoring program; the stories the black students were telling about being suspended caused me to look at the data. I was appalled that during the year that I checked all the students who had been suspended were black. The same was true at other schools. 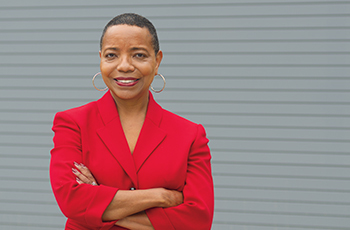 With my legal background and my experience in educational policy, I could make a difference by bringing a different perspective to the board of education. My Smith experience helped by developing my confidence in my ability to succeed. I was the first person in my family to go to college. To see that I could do that and graduate gave me confidence that I could do anything I set my mind to do. I chose to run because I was asked. Our state Democratic Party has identified this seat as “flippable”—mathematically winnable with the right candidate. Every legislative session, I find myself frustrated with the direction of our state government. I realized I could do something to effect change by actually being part of the system and not just a critic of it. When I entered the race, I was concerned with education, transit, reducing gun violence and supporting equality legislation. Yet, one topic kept coming to the forefront of my discussions with neighbors: health care. More than 240,000 Georgians are uninsured, the third-highest rate in the nation. … You have a recipe for disaster if nothing is done to address it. My Smith experience helped by making me aware of the need for social change and giving me the confidence to realize that I could be the one to make that change. In my first year at Smith, a sociology professor assigned the book And the Band Played On by Randy Shilts. That book forever awoke in me a fighting spirit for social justice and speaking up for the marginalized. My passion only grew from there. As a woman candidate, I’ve experienced both support and challenges. Early in the campaign, people took to my Facebook page to call me “just another pretty face”; the assumption [being] that I simply couldn’t be qualified for the job. On the other hand, women I’ve never even met have stepped forward to make donations or offer to help, simply because they believe government needs more women in leadership. 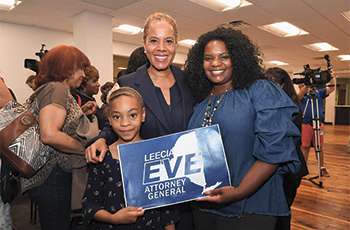 Leecia Eve ’86, center, at an event in support of her run for New York attorney general. I’m running because New Yorkers need an attorney general to defend the rights that are fundamental to who we are and to protect and advance the progress that we have fought so hard to achieve. I’ll make a difference by standing up to Washington and taking on bad actors within the state, including corrupt elected officials and corporations that engage in fraudulent activity. I will also focus my time protecting vulnerable New Yorkers, whether that’s families who face housing discrimination, workers in low-wage industries or women fighting for equal treatment in the workplace. My time at Smith College helped shape the person I am today and prepared me for this moment. One thing that makes Smith so special is that you are taught to take on leadership roles at a relatively early age. Running for office is the next step along that path. movement. In a world where racism and sexism still exist, we should all want talented people of diverse backgrounds to serve as effective leaders at all levels of government. State and local government make the most difference in our lives, so I am running to provide the best representation possible for the Manatee and Sarasota communities. My top issue is education because we have chronic underfunding of public schools in Florida. We also need a more balanced approach to testing and assessment. I support tuition-free community and technical college for at least a two-year degree. We want to make sure workers can get good-paying jobs in our community and local businesses can get access to a skilled workforce. 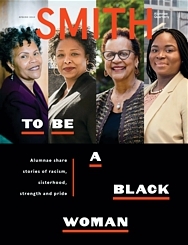 My Smith experience helped by allowing me to join an alumnae family—with women like Molly Ivins ’66, Gloria Steinem ’56, Betty Friedan ’42 and Madeleine L’Engle ’41—whose legacy has inspired the way I view the world. I want to make a difference with my life, and Smith women before me broke the mold like no others. I love connecting with other women who have been longtime activists in my community as well as with women who are getting their feet wet in politics and activism. We’re bringing new people into the democratic process every day. I love working with young people, men and women alike, who are inspired to a call of leadership and gravitate to new models.